The Marais district of Paris is full of people some would not really expect in the heart of Paris, like Iranian lesbians. A traditional neighborhood of Jews, Le Marais is now famous as the “gay” neighborhood of Paris. Many of the gay restaurants, clubs and other happenings are found here. But it is because of the atmosphere of this district that attracts them, say the locals. Today, she is upset because the woman she has been in love with for the past five or so years has left for Tehran last night. Narjis, a 46-year-old mother of two, had been coming in and out of Paris for the last ten years, because her husband is a middleman who works for a French company that deals with Iranian companies. Because their children are grown up (and are living abroad,) Narjis had been able to go with her husband wherever business takes him, preferably to Paris. Over the years, the two women developed a special bond. Although Narjis is almost ten years Parvaneh’s senior, it did not hinder the fact that the women found themselves so much in common. And Narjis’s frequent trips to Paris only enriched that bond. Parvaneh is also married, with three children. They live in a luxury apartment in the upscale 7th Arrondissement. To all the Iranian friends and families of Paris, and those who visit all the time from all over the world, her life seems perfect. She is married to a great businessman who has been able to afford her the best life possible. They own vacation homes in three countries, including Spain and Switzerland. Although she admits she had known about her lesbian feelings since she was a young girl, and was dreaming of women like Anicée Alvina and Dalida, Parvaneh says she really did not accept it and fought very hard to overcome her sexual desires for other women. Instead, she grew into a sad young woman with very low self-esteem because she had this crazy idea that men could suspect her lesbian feelings although she is very feminine. When her father told her about his friend’s son who expressed interest in marriage, she thought it was the one thing she had been praying for because men did not show interest and she desperately wanted to experience her female sexuality with men. Marriage came fast. Everything that she wanted to happen happened. But that did not change how she felt about women, she says. And that she only ended up in a life that she did not bargain for. It has especially been very tough for Narjis because she comes from a very religious Muslim family. When she was young, her father used to tell her that she might become the mother of the Mahdi. She took his words to heart and immersed herself in the faith. As a grown woman who realized she had sexual feelings for women, feelings that were condemned in her faith, she began a long life battle to reconcile her sexuality with her faith. It almost cost her life. Later that day, Parvaneh is home and waiting for the call. Narjis always calls the night she gets to Tehran, to let her lover know that she made it safe and sound. Although Parvaneh was comforted by her friends in the Marais, Parvaneh is growing nervous. “She usually calls right away, and the flight is only six hours, and it has already been ten,” she says. She opens the book, and reads the story the way Ferdowsi wrote it. Parvaneh has been reading the stories to her children as a way for them to keep their culture. And although there is always “reasons,” says Parvaneh, she gives them of why all the kids are named after such characters, “it is really a way for me to let my children know that they come from a great people. Not that I believe everything in these stories but the imagination of them all,” she adds. As the little boy falls asleep, Parvaneh’s husband walks in quietly. “It is Narjis,” he whispers, handing the cordless phone to her, and as if he knows about their intimate relationship, slowly walks back out. 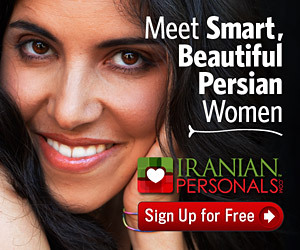 As Rostam sleeps away, Parvaneh goes into the bathroom to talk to the woman she loves. “I had to read another Shahnameh tale in Paris,” she starts with the conversation. Afdhere Jama is the Editor of Huriyah, a queer Muslim magazine based in the United States.